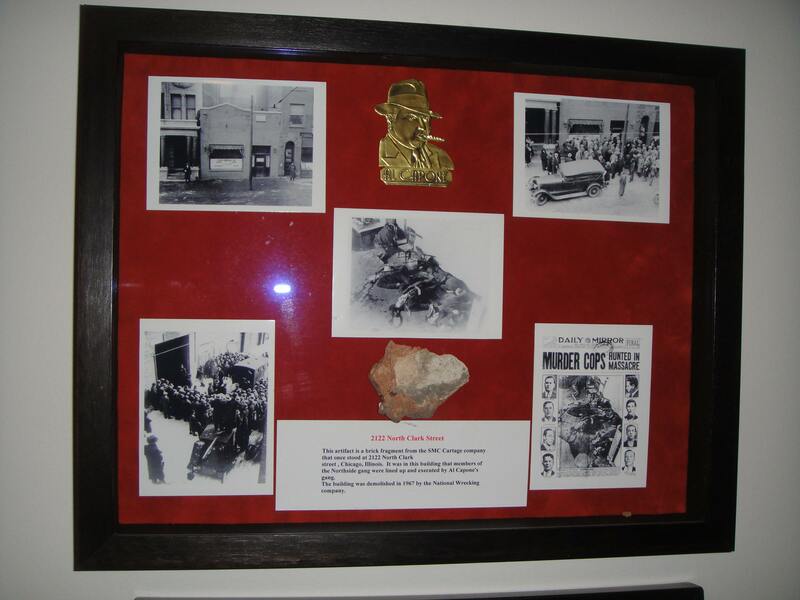 Memorabilia related to historic Ohio locations, events, and people. Some of them are even supposed to be haunted! 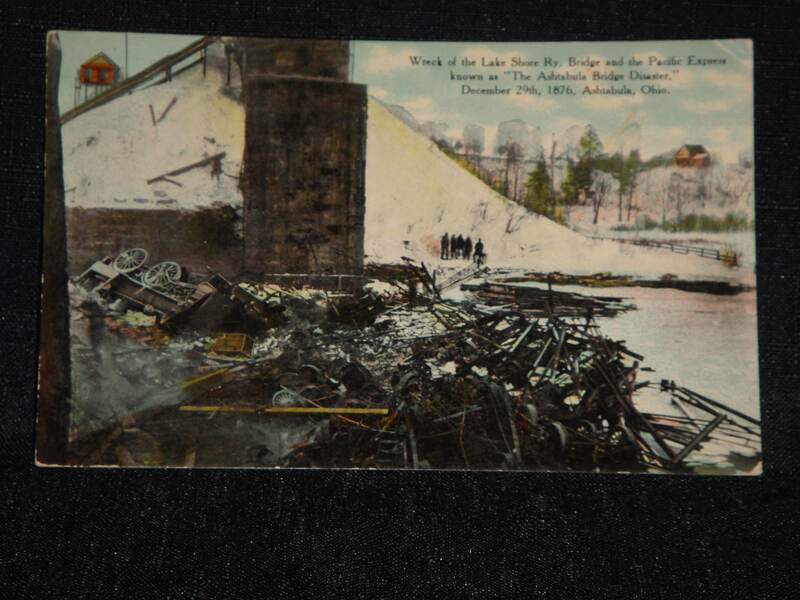 Souvenir postcard depicting the December 29th, 1876 Ashtabula Bridge Disaster. No further information on the back of the card, although it was mailed and is postmarked 1911. 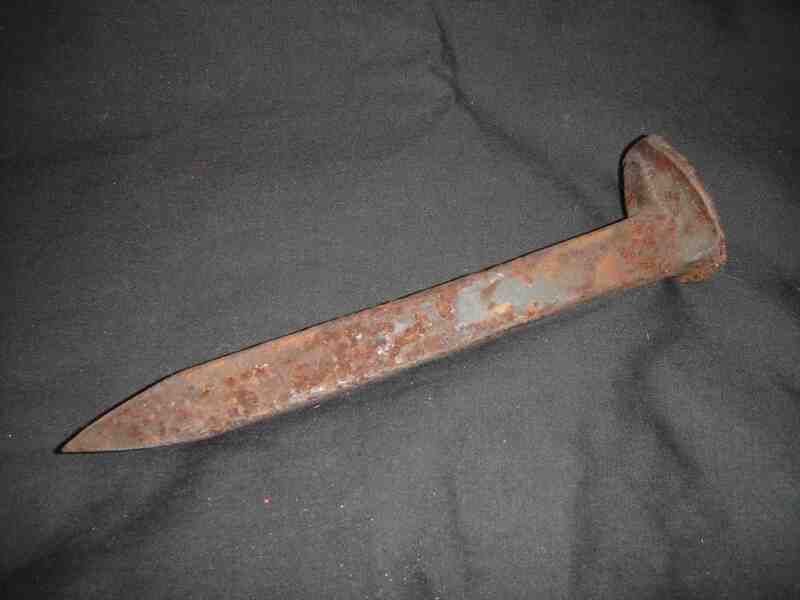 Railroad spike recovered from just inside the entrance to the Moonville Tunnel. Found by yours truly in February of 2000. So it’s been over 13 years and my house has yet to be visited by a headless brakeman, so I’m guessing he didn’t follow me home from the tunnel. Brick fragment of the SMC Cartage Company, the location of the infamous St. Valentine’s Day Massacre of 1929. Five members of the notorious North Side Gang, along with 2 of their associates, were gunned down inside the building at 2122 North Clark Street by unknown assailants, including two who were dressed as police officers. The hit was believed to have been carried out by members of Al Capone’s South Side gang, although no one was ever charged. 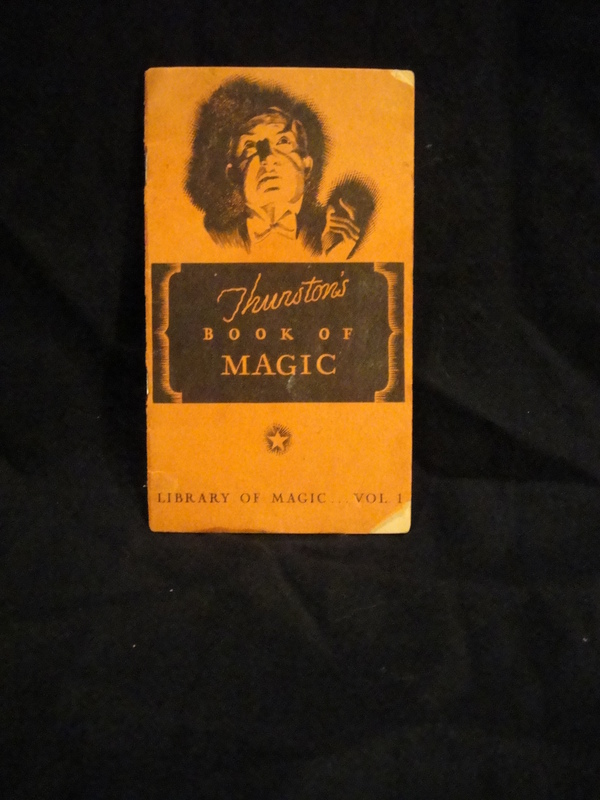 16-page booklet from that 1930s that is filled with magic tricks, supposedly ones performed (or at least endorsed by) Columbus-born magician, Howard Thurston.Booklet was a giveaway from Swift and Company, who manufactured baking products like shortening. The “Library of Magic” listed on the cover was the name given to all 6 “volumes” (ie: booklets) in the series. As you can see, this was Volume 1. World-famous magician (and Columbus, Ohio native) Howard Thurston became known as the King of Cards based on the amazing card tricks he would perform. One of his most popular was when he would throw cards into the audience, often with such accuracy that he could hit specific spots/people in the crowd, even if they were at the back of the theater. 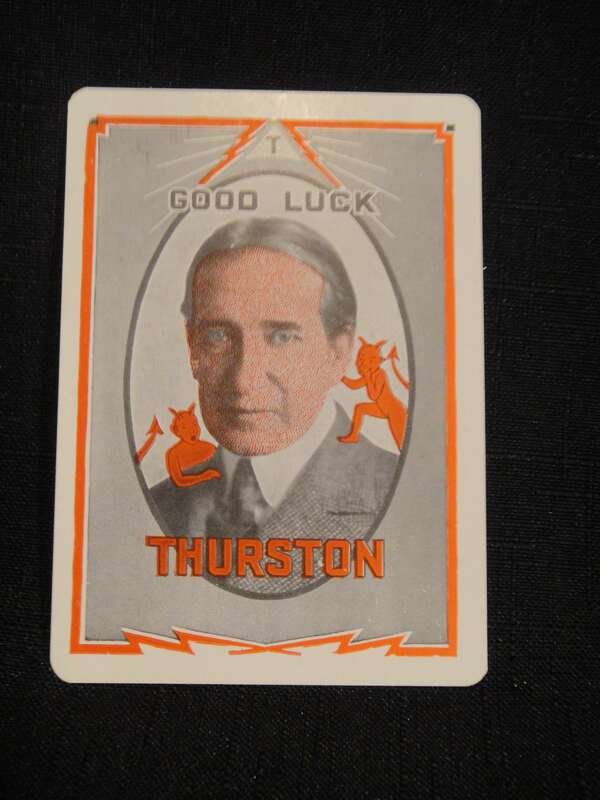 Rather than use traditional playing cards, Thurston had special “throwing cards” made up, featuring his face on one side and his daughter, Jane Thurston, on the other (along with the phrase “she takes after her dad”). Acquired in 2010. Contents appear to have been cobbled together from different sources. 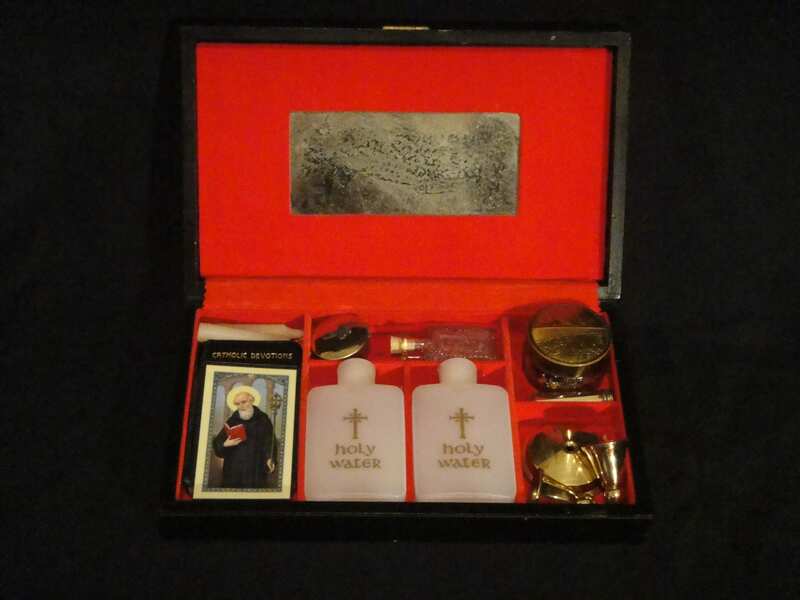 Communion Wafer Holder (small gold circular container on left side of top center compartment) still contains wafers. Yours of the 22″ inst. enclosing twenty dollars received. The amount will be applied to purchasing clothing for your father as requested by you. Your father is well physically while his mental condition remains unchanged. Fascinating postcard, postmarked 1909, showing the building that would become known as the Shot Tower. 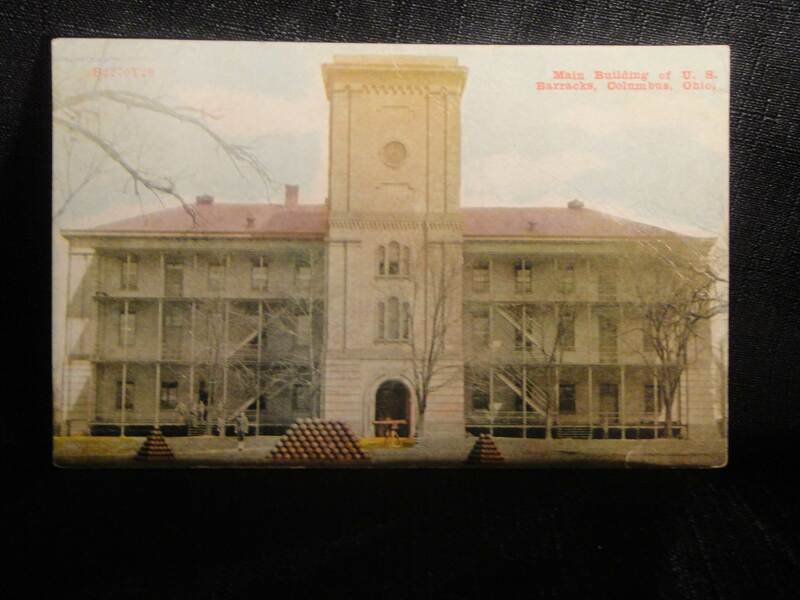 It is also interesting to note that the front of this postcard calls the place the “U.S. Barracks”. It would not be until 1922 that its name would be changed to the one it is known by today: Fort Hayes. Of course, by then, the tower would have already inherited the ghost said to haunt the top of the tower. He is said to have arrived when the Lincoln Funeral Train passed through Columbus in 1865. 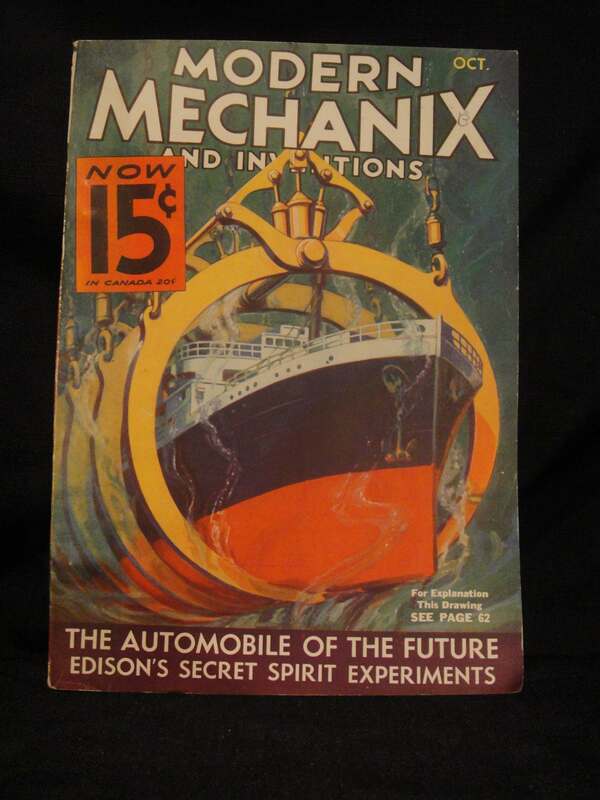 October 1933 edition of Modern Mechanix and Inventions magazine. This unassuming magazine holds a place in paranormal history in that it contains a 3-page article entitled Edison’s Secret Spirit Experiments. 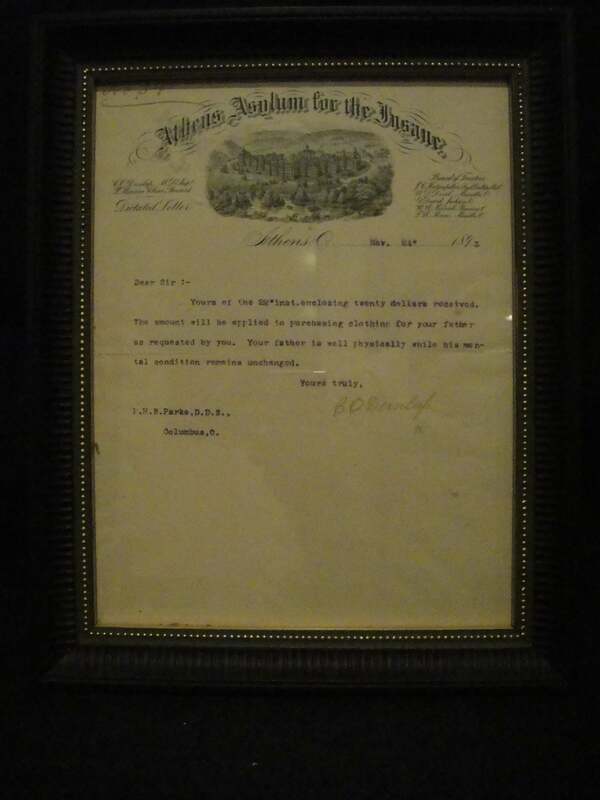 This article is often cited as proof that Edison was working on a telephone to the dead. However, if anyone were to read the article, they would find that Edison’s experiments involved something more akin to an EMF detector than a phone. In fact, the article doesn’t even mention any type of recording or listening device. Oh yeah, and the experiments were deemed a failure. For more information about Edison’s experiments with the spirit world, check out Thomas Edison: Ghostbuster? 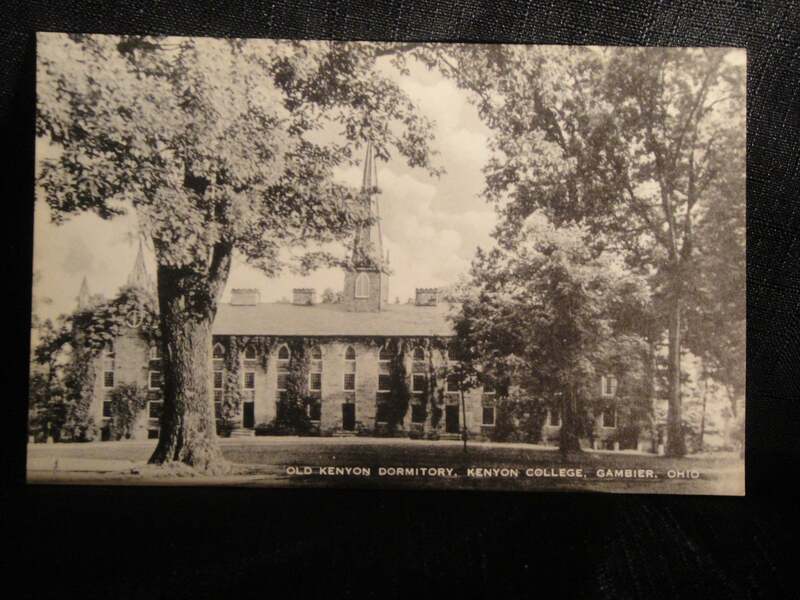 Undated postcard showing the Old Kenyon Dormitory on the campus of Kenyon College in Gambier, Ohio. In the early morning hours of Sunday, February 27th, 1949, this building would catch fire and burn almost completely to the ground. Nine students lost their lives. And while the dorm would eventually be rebuilt, legend has it that the ghosts of those who lost their lives that night returned to haunt the new building. I'm done with the museum. Take me home, please! 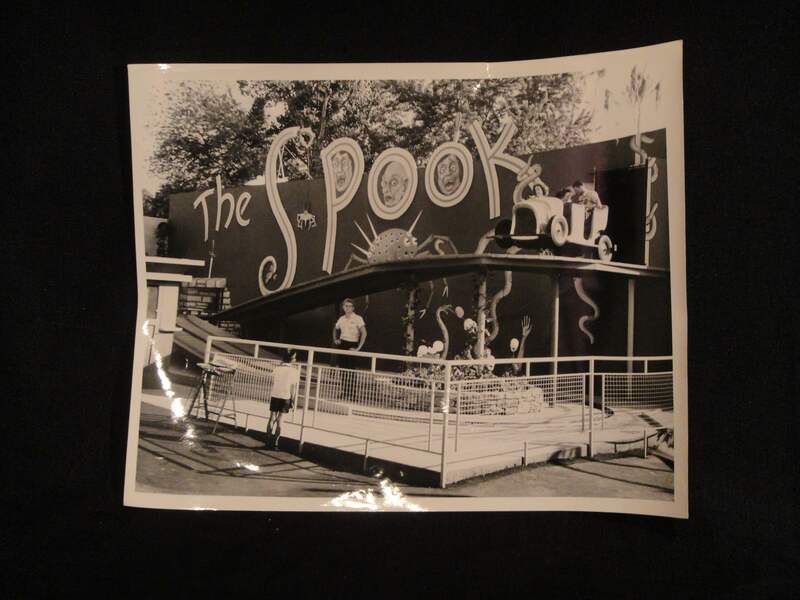 Hah, the Spook Ride! It looks like all the little local carnival rides that I rode back in the late 60s! The Ghosts have to go looking for abandoned amusement parks!! I know…and I miss those rides! I can remember being scared to death every time I rode one–usually due to my fear of crashing or falling off the ride itself! And boy, would I ever love to investigate an abandoned amusement park. I’d feel like Scooby-Doo and the gang! Problem is getting people to agree to let you in. Heck, we have a hard enough time getting permission to investigate functioning amusement parks, let along abandoned ones!